Auckland Wineries perhaps aren't the best known in the world. But there are several great vineyards within a short distance of the CBD. You can drive yourself over, or join a wine tour, so you don't have to watch how much you want to drink! Auckland Wineries are now becoming as well known as their more famous cousins. With its sheltered inlets and sub-tropical, grapes can grow well here. The wider Auckland region has over 100 vineyards, some of the country's oldest. It's Waiheke Island that can take most of the credit for putting Auckland on the wine map. It's full of boutique wineries, many of which have excellent restaurants attached. There's an annual wine festival every summer, and it's also a haven for Auckland's well-heeled and celebrity residents. If you love your wine, it's a good idea to either make your Auckland base on Waiheke Island, and take your time exploring the dozen or so vineyards here, or join a wine tour and let someone else do the driving. 16km north of Auckland CBD, is Kumeu, the other famous Auckland wine region. This is farming country, with the vines becoming just as valuable as the dairy and flora. Auckland Wine Tours are the perfect way of getting around all the best cellar doors. Joining a tour takes the hassle out of knowing where to go, and also means you don't have the restriction of knowing you have to drive home. 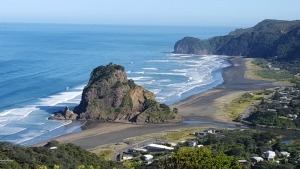 Wine Tours in Auckland tend to centre around Waiheke Island, Kumeu and the Matakana Coast. Most tour operators will pick you up from your accommodation, in air conditioned vehicles, and include a commentary on the places you'll be visiting. You can sample the current vintages, and often get discounts on any purchases. Sometimes, you'll also get entertainment included in your trip, or a visit to a neighbouring art gallery or craft shop.